The Northeast region is reeling. What a mess! 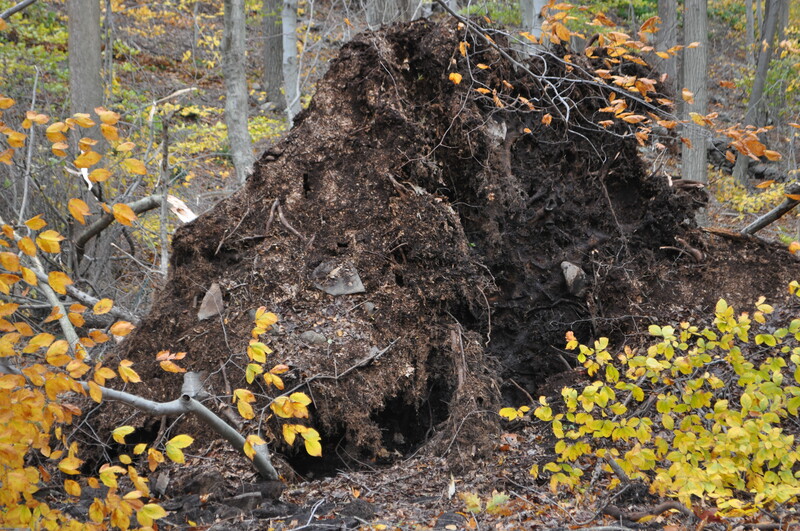 Just a year ago, I was writing in my garden Journal, October 30, 2011, ” Magnolia split, shrubs took a hit! Quite something to see, snow before leaves are off trees.” 2011 saw destruction from Hurricane Irene as well. 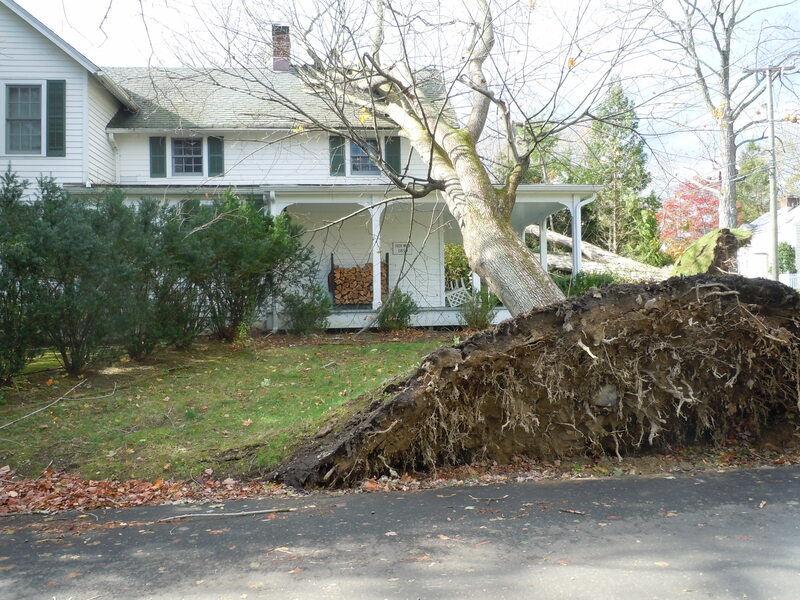 We learned from it, took down trees threatening the back of the house where a tree fell during Irene. 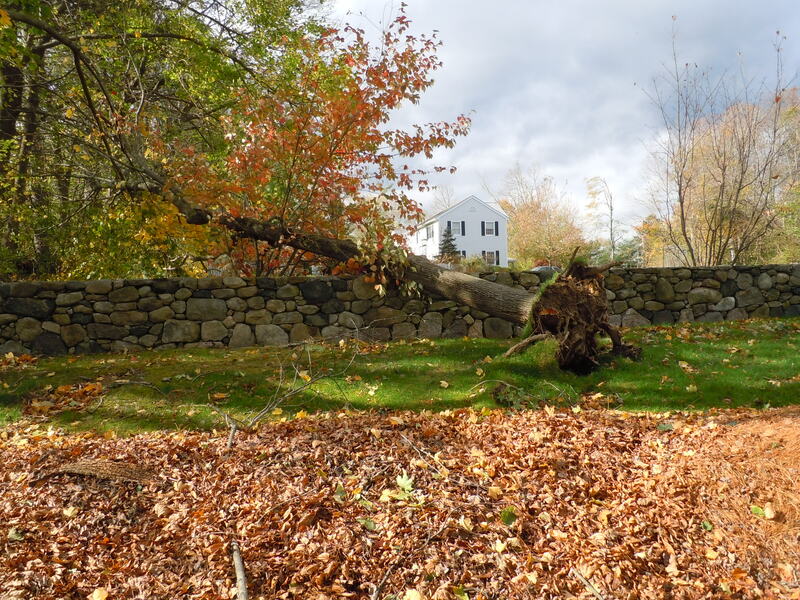 Sandy’s wind was more forceful and lasted longer. This is another tree we should have taken down, but Sandy worked on it for us. I worry that a favorite sapling, heptacodium, is under there along with a viburnum. Dear husband was outside yesterday repairing the fence so the little spaniels are safe. Maybe today he will get the power saw going. Metro North is still not up and running. It was not safe to be out on the road yesterday. Schools are closed, businesses interrupted. What a mess! 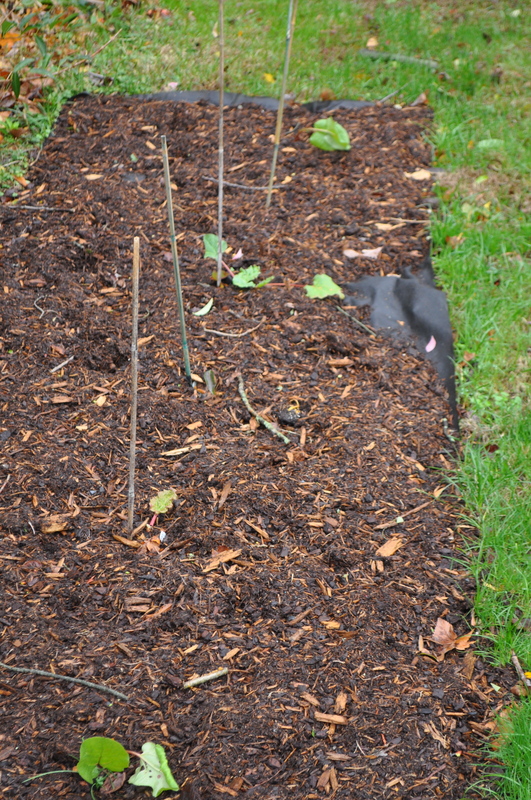 How did my new little rhubarb bed, just planted recently, survive? The gas grill moved three feet from its place, but the little rhubarb leaves are mostly in tact. The pond didn’t flood because the owner of our neighboring pond opened a valve to let the pond drain out before the Hurricane arrived. Wonder where the fish went? 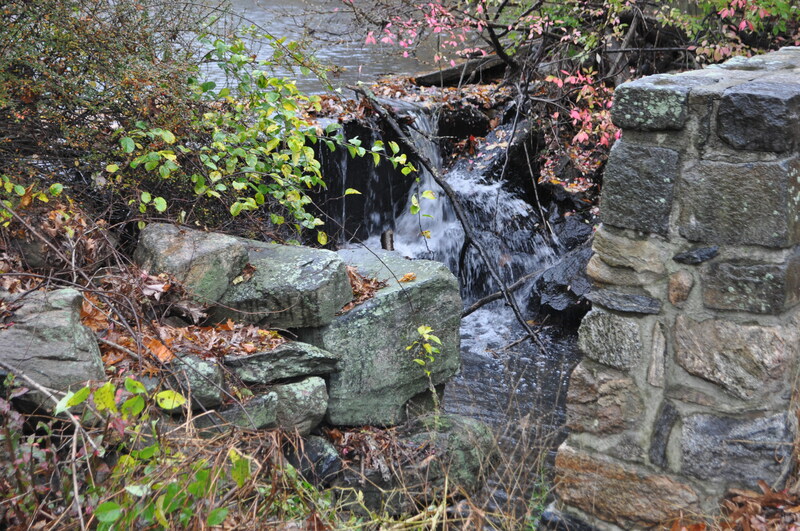 So our pond rushed over the dam, and kept it from overflowing once the rains and winds arrived. I did not stay outside for very long, as branches were still falling and the rain was intermittent. Our wooded area saw much damage. 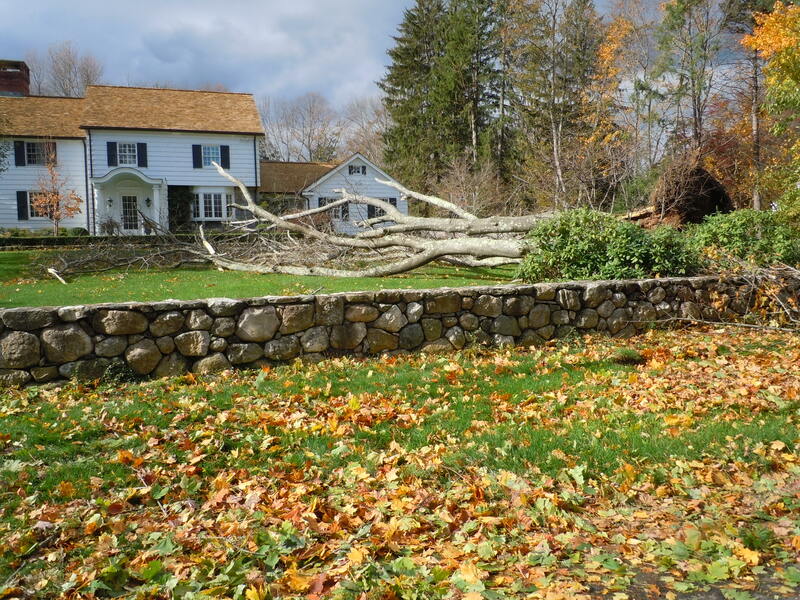 Any damage on our property is minimal compared to the devastation that so many people are facing in the New Jersey area, and throughout New York and Connecticut. Now is the time to shake it off, and see what we can do to help our friends and neighbors…. 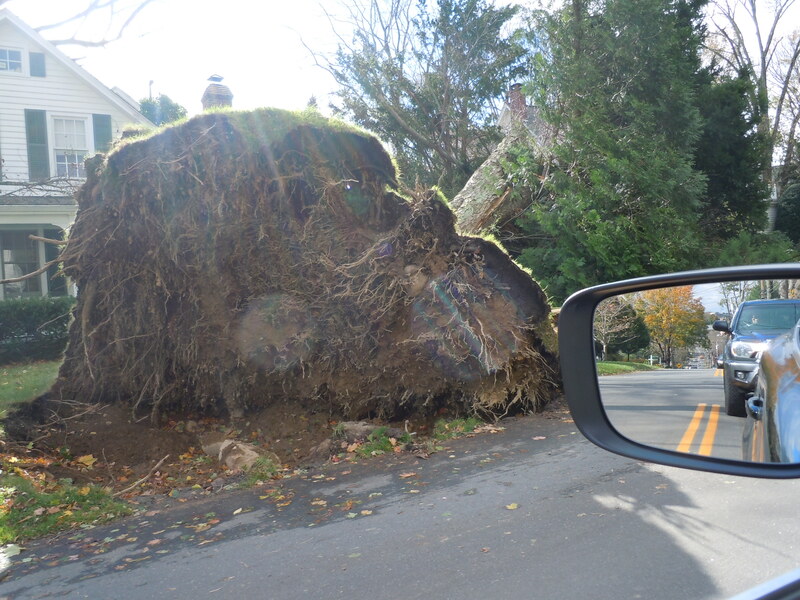 in our neighborhood, there is so much damage…. 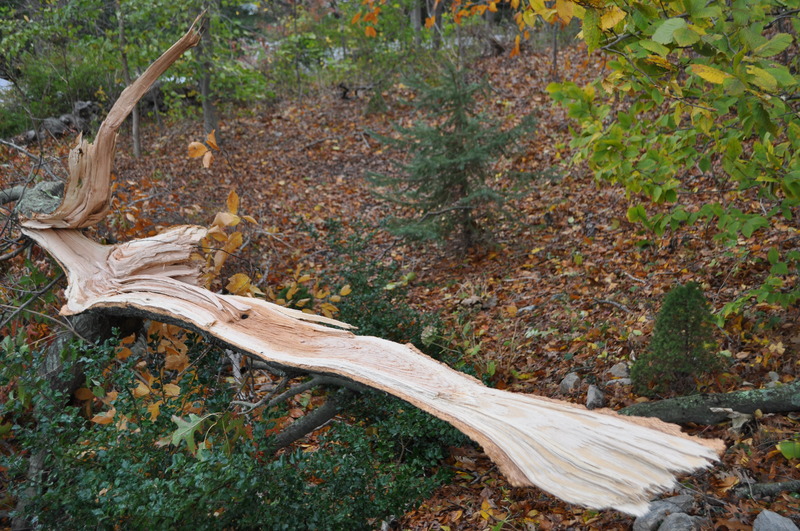 This entry was posted in Uncategorized and tagged hurricane damage, Hurricane Sandy, trees toppled. Bookmark the permalink. Thank goodness the damage was not to you or your house. It’s so sad to lose a tree, but you will find inspiration to plant some other wonderful tree. So glad you’re safe. You are absolutely right! Look for the bright spot! Thank goodness it is over for you and you remain safe and unharmed. I’m so glad you’re through the worst. From past tornadoes in my part of the country, I have seen what painstaking work it can be to recover from the devastation. Best of luck to you getting it all sorted out. Jayne, thanks for your recent comment on my blog. 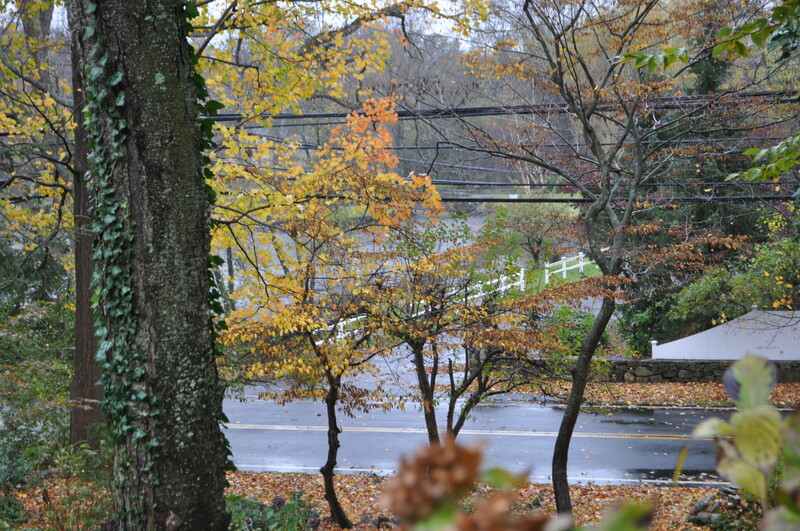 So sorry about the devastation and heartbreak caused by Sandy, which has been very much in the news on this side of the pond. I imagine that it will take some considerable time for life to get back to normal. 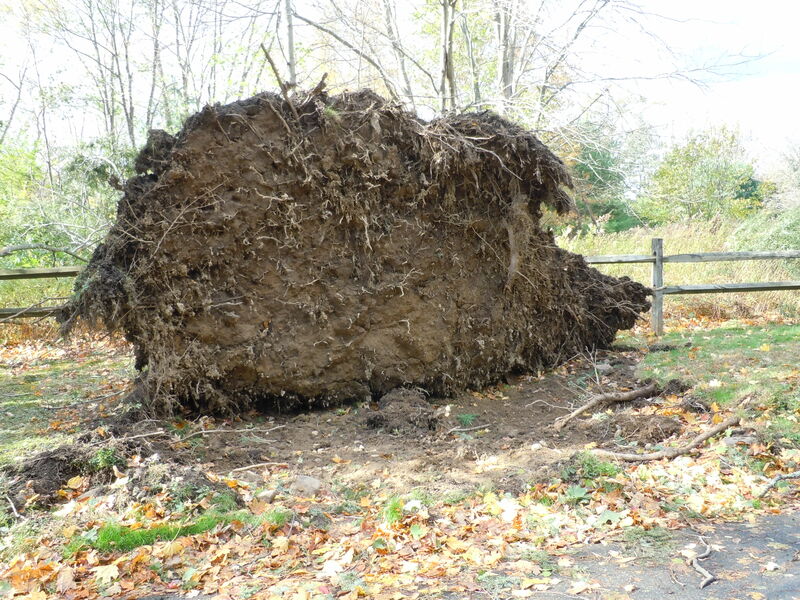 Sad to read about your tree – having lost a couple of trees to wind here I know that horrible feeling when you see them uprooted. You can take some comfort though that those little rhubarb plants seem to have come through unscathed and will provide you with some edible goodness before long. I hate to see trees down like that, but glad you are doing so well after ‘Sandy.’ Hope you can be of help to others and that people more seriously affected can put their lives together quickly. Great that your place had so little damage, it could have been a lot worst. Hoping others less fortunate will recover quickly. I lost my house in NC due to Hurricane Fran back in 1996. It was quite an ordeal.